If you’re lucky enough to be travelling to the beautiful island of Fiji, but you’re a little concerned about whether you’ll be able to get your hands on great gluten free food while you’re there, you’ve come to the right place. Our team have found the top gluten free restaurants in Fiji for you to enjoy on your trip. Here are a few of our recommendations. This seafood restaurant was voted the best restaurant in the whole of Fiji, so you won’t want to miss out on eating here! Located on its own private island, this is definitely a spot for a special occasion. Enjoy delicious gluten free seafood and soak up the incredible atmosphere. Port Denarau is home to this authentic restaurant, where you’ll find fabulous gluten free dishes inspired by the cuisines of India and Asia. So, that means big flavours, plenty of spice and of course loads of great gluten free options! For something a little less formal, we recommend Tu’s Place. You can get a great Fijian breakfast here – perfect to fuel you up before a big day at the beach! Ask the friendly staff about their gluten free options, there are plenty to choose from. The ingredients served at Grace Road Kitchen are fresh as can be, with many hearty homemade dishes on the menu. Everything is made in-house, so the staff can easily adapt dishes to suit your dietary requirements. Just ask! There really is something for everyone at Bula Brasserie, a restaurant located within the luxurious Warwick Resort and Spa. Dining options include authentic Fijian, Mexican, Tex-Mex, Asian and much more. You’ll definitely be able to find a great gluten free option here. The emphasis is on fresh, quality ingredients at this fun restaurant, which boasts stunning views, great food and brilliant service too. 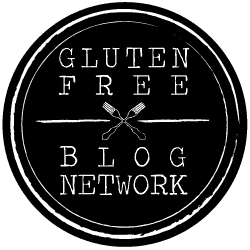 Speak to the team about your gluten free diet for their recommendations. On Fiji’s famous Coral Coast, the Naviti Resort is a luxurious place to stay, perfect for any gluten free traveller! The resort is home to The Bamboo Terrace, a great spot to enjoy a gluten free lunch as you gaze across amazing views of paradise. After something totally authentic? We recommend you try out the Nadina Fijian restaurant, which specialises in local cuisine made largely with homegrown or foraged ingredients. The prawns are divine – not to mention the wonderful coconut cream, it’s fresh as can be! At Radisson Blu Resort you’ll find the Blu Bar and Grill, where you can tuck into an almighty buffet breakfast, with so many gluten free options to choose from! It’s one of our favourite ways to start a day in Fiji. This is one of the top fine dining restaurants in Fiji, so if you’re celebrating a special occasion or simply want to tuck into some of the best food in paradise, Ports O’Call is a great place to try. The staff are very knowledgeable on gluten free diets, so just check with them when you arrive and you’ll find a great variety of gluten free dishes to choose from. If you’re on your way to Fiji soon don’t miss our top ten gluten free restaurants, perfect for any gluten free traveller. We hope you enjoy your time in paradise – and the delicious food of Fiji!